Radio: Micro servos in the wings. Micro or mini equipment in the fuselage. The Satori-2ProX 4K is based on the popular Satori-1 glider. 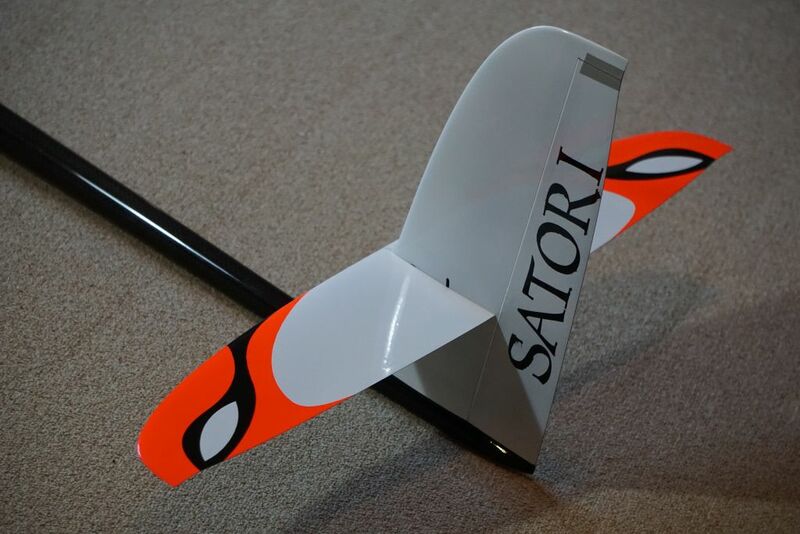 The SATORI is one of the most successful F3J and F5J gliders of the recent past years. It is particularly popular because of its above-average gliding and all-around capabilities, but also because of the aesthetic lines and design. Through regular product care and various facelifts, the model has always been kept up to date with the latest technology. The current "Pro" version of the SATORI-2 is particularly intended for thermal flight. The design of the model is still suitable for everyday use despite it's low weight and light aerobatics is still possible. 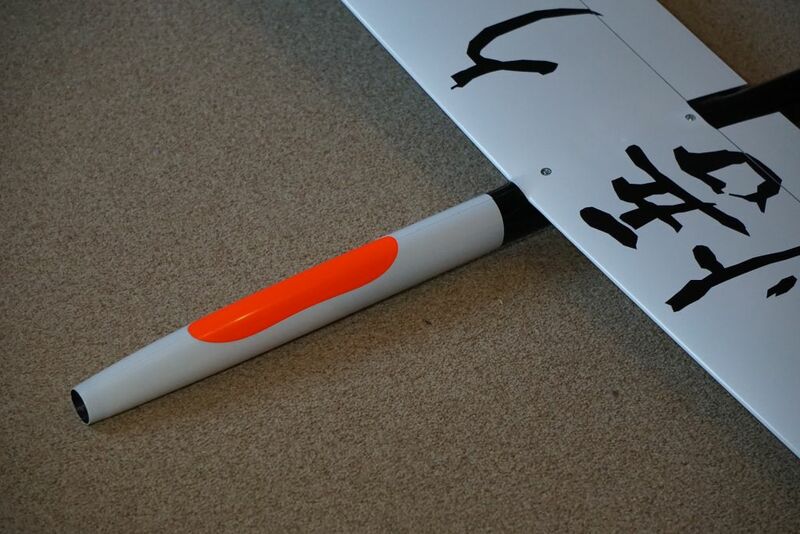 The new wingtip with modified airfoil and wingspan of 3,80m is the hightlight of the new version. Also there is a new fuselage with bigger rudder fin and longer v-tail boom. also the nose is pre-cut for 30mm spinners. For pure gliders there is a additional glider nose. Hollow core moulded wings with special bottom hinged flaps (for full 90 deg. down flaps) leads to rock stable approach and accurate landings. The Max Steidle designed airfoil has a very wide speed range, it's full potential can be obtained when using full flap control over the different flight configuration: a couple of degrees down in thermal turns, a degree reflex in transition. Small changes in camber have substantial changes in behavior. The whole model is built strong yet light achieving a very low average weight. 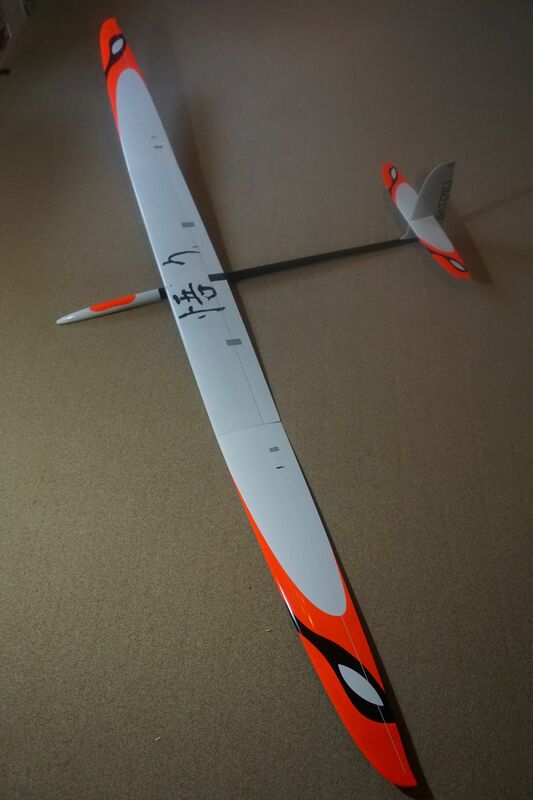 The versatility and it's ease of use will allow aggressive competition flying as well as everyday smooth soaring. All models are made in hollow moulded glass/carbon construction, carefully handcrafted and custom-made. The fuselage is made from mostly carbon in the tail boom section and are laminated in a "2.4-friendly" glass or glass Kevlar lay-up in front of the wing. The wing skin is completely made in carbon. The so-called D-box design (carbon in front of the spar / glass behind the spar) is a simpler construction and is therefore not used for quality reasons. A complete carbon skin is more stable with less weight! Mostly Textreme Carbon Spreadtow is used for the wings, as well as linen fabric made of carbon and for some time now also the new Carboline Spreadtow Carbon. Spreadtow Carbon (visually similar to a checkerboard pattern) requires a little more epoxy resin for laminating for a flawless surface - but for many customers it has the visual appeal of providing the full Carbon look! Somewhat lighter is the new "CARBOLINE" carbon fiber (a kind of brushed look). The designations of the carbon layers ("C26" ... "C64" ...) indicate the basis weight (g / m²) of the carbon layers! "C" is a wing with 1 layer of carbon in the outer layer. "CC" is a double carbon version in which the inner layer of the sandwich (fabric-backing fabric) is also made of carbon. This leads to a very high torsional strength of the wing shell. However, the flexural strength of the wing is significantly influenced by the spar. Coloured strong Fiberglas fuse with carbon reinforcement tows, removable canopy and servo tray. Tail pushrods are installed. Fuselage comes with a ballast tube, which can accept up to one pound of lead. The Aspire has an adjustable tow hook to optimize hand tows. Hollow core moulded wings are in three pieces. Center panel bolts down to the fuse and tips are connected to the center panel by means of rectangular carbon wing joiner and two locating pins. All moving parts are gapless hinged. Available in V-tail or cross tail configuration. Moulded servo cover, Allen keys for the different bolts and hardware are included. Satori 2ProX 4K, C64 carbon lay-up spreadtow, this helps reduce the weight and still keep a good strength. Servo packages and wing servo wire harness.